Yummium's 100% Natural Kiwi spreads are homemade with the choicest table grade fruits, sulphurless sugar and lemon juice. Each 225 gm bottle contains more than 50% of Kiwi. Kiwi fruit is known as a super food, it is a rich source of Vitamin C along with being a significant source of Vitamin K and E. It also contains Potassium which improves Heart health. This handcrafted gourmet jam contains all natural ingredients; no preservatives, no chemicals, no added colours and no added flavours. Enjoy the delectable flavour and the chunky fruit pieces on a bread toast or as a dessert topping. This fruit jam is also highly recommended to be used for fruit filled delicacies such as pastries. 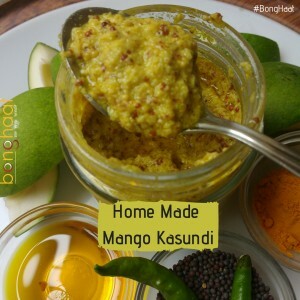 100% natural Mango Mustard is hand-crafted from fresh raw mango adds just the right twist to any course of a meal as a dip. Be it a part of a sandwich or accompaniment to fritters and fries or even as a marinade for steaming and grilling, the right mix of sour, ranginess and spice is brought out to ensure that your repeat order is almost pre-determined, if you like the mustard taste in your dishes. The dip is vegan and gluten & nut-free; it contains garlic and matures with time. Once opened, needs to be refrigerated and dry spoons should be used. The dip matures with age and has a certified shelf life of 6 months. 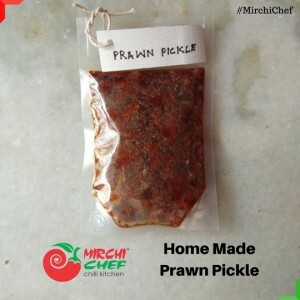 Homemade Pickles are one of the impeccable feature of Mirchi Chef products. The ingredients used are of best, natural and exceptional quality. The ingredient Prawn fish is sourced directly from the fresh farms in Manipur and then this Pickle is prepared at home. No readymade masalas, added preservatives, added harmful chemicals are used in making them except the home prepared ginger and garlic paste which gives the pickles totally a chip off old block grandma remedy which everyone craves in these hybrid era. This has resulted in the never ending finger-licking taste experience in every customers taste buds who has ever been tasted the products. All the products contrived comes with 100 % Natural & Homemade assurance. Homemade Pickles are one of the impeccable feature of Mirchi Chef products. The ingredients used are of best, natural and exceptional quality. 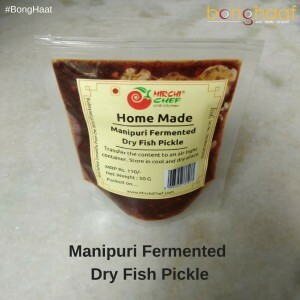 The ingredient Fermented fish is sourced directly from the fresh farms in Manipur and then the Fish Pickle is prepared at home. No readymade masalas, added preservatives, added harmful chemicals are used in making them except the home prepared ginger and garlic paste which gives the pickles totally a chip off old block grandma remedy which everyone craves in these hybrid era. This has resulted in the never ending finger-licking taste experience in every customers taste buds who has ever been tasted the products. All the products contrived comes with 100 % Natural & Homemade assurance. The ingredient of this Shidol (Shutki) is sourced directly from the fresh farms in Manipur and then the Shidol (Shutki) DryFish is prepared at home. No ready made masalas, added preservatives, added harmful chemicals are used in making them except the home prepared ginger and garlic paste which gives the pickles totally a chip off old block grandma remedy which everyone craves in these hybrid era. This has resulted in the never ending finger-licking taste experience in every customers taste buds who has ever been tasted the products. All the products contrived comes with 100 % Natural & Homemade assurance. Yummium's 100% Natural Peach spread is handcrafted with choicest Himalayan Peaches, sugar and lemon. Each 225 gm bottles of our Peach Spread contain more than 50% of fruit. This handcrafted gourmet spread contains all natural ingredients namely Peach, Sugar, Lemon; no preservatives, no chemicals, no added colours and no added flavours. Try this chunky peach jam on a crisp toast or use it as ice cream topping! This Peach Spread is 100% Natural.